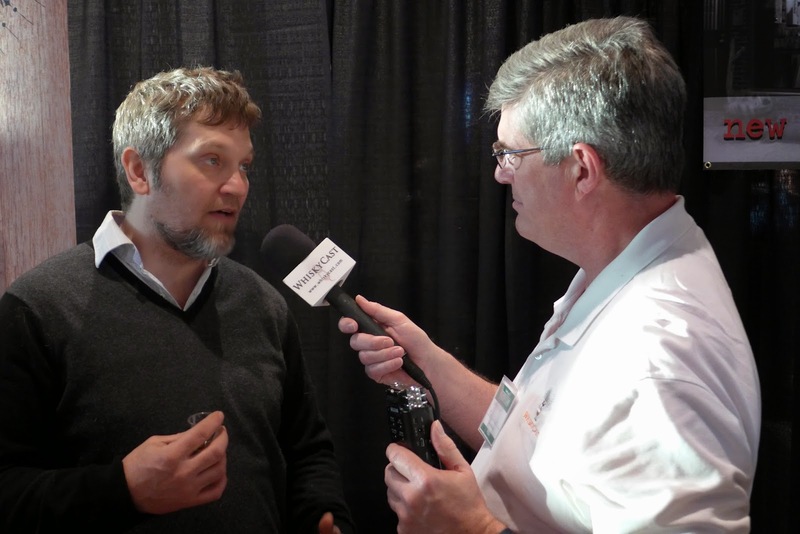 Whisky Live continued to grow in 2014. Packed, loaded, full of life and personalities and loaded with likely and potential drams to taste. As the years go by I find I'm more excited to see the whisky people. OK, maybe I'm still pretty excited about the whisky too. There's always something unexpected and something new at a big show like this. Here are a blizzard of some of my impressions of the show associated with small pictures. If you click on one you can see them bigger. 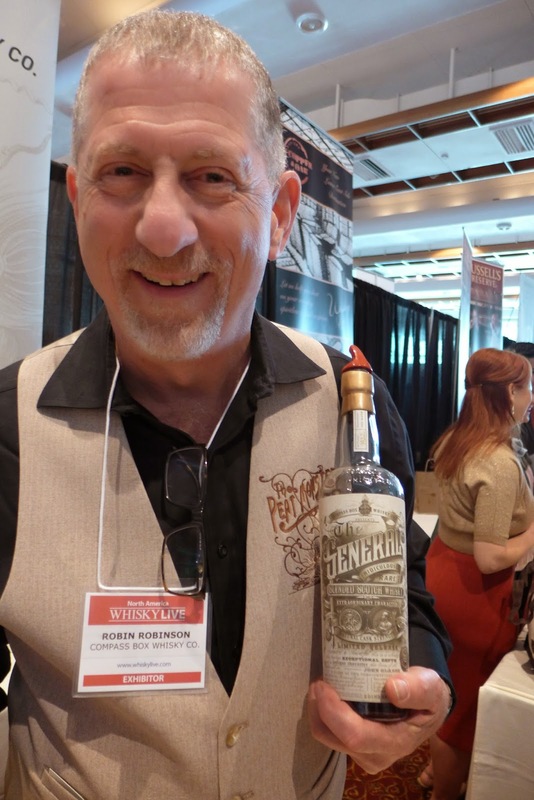 Robin Robinson poured Compass Box The General. Butterscotch with intensity - particularly after a drop of water and a little time. Rich and strongly oaked. Floral, fruity, complex and long finished. This was on many people's lists to try to get a taste of and I heard it on many people's highlight lists. 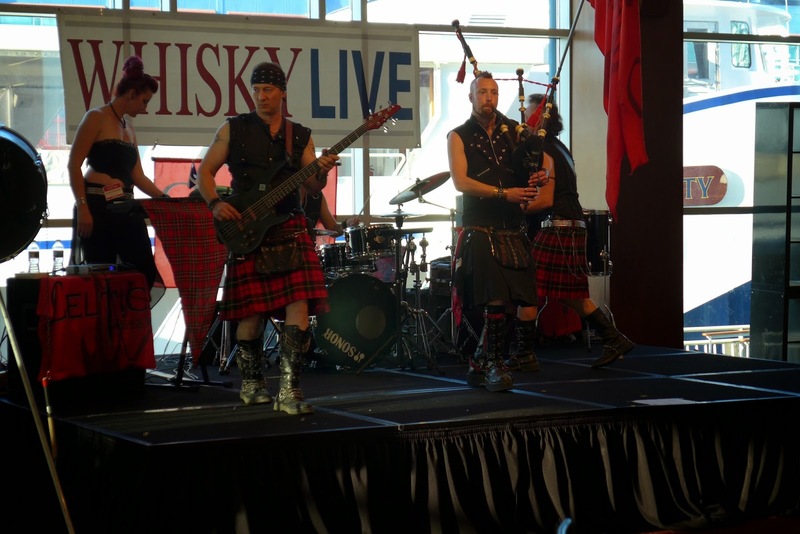 Part metal, part punk, and very Scottish. Chris Riesbeck, brand ambassador of Gordon & MacPhail, and a wonderful man, poured Glen Scotia sherry cask 21 yo and this year's stunning batch of Caol Ila Cask Strength. 'I could sell ten times what we get allocated' he states flatly. Sweet, grassy, honeyed, and intense with a beautifully rich clean peat hit. G&M's cask strength Caol Ila is lovely peat monster. 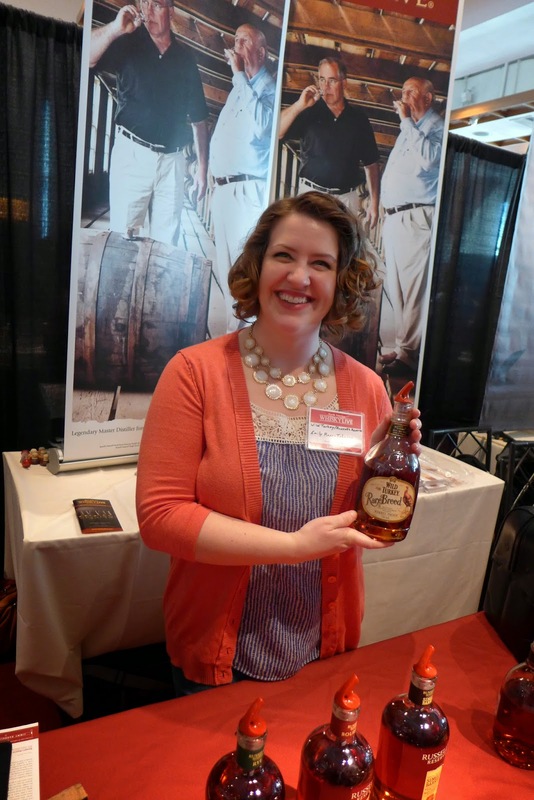 I was delighted to see Emily Ross Johnson - who I normally encounter as the cocktail brilliant person responsible for The Astoria Whiskey Society's amazingly fun tasting events and signature cocktails - behind the table pouring Wild Turkey and Russell's Reserve. 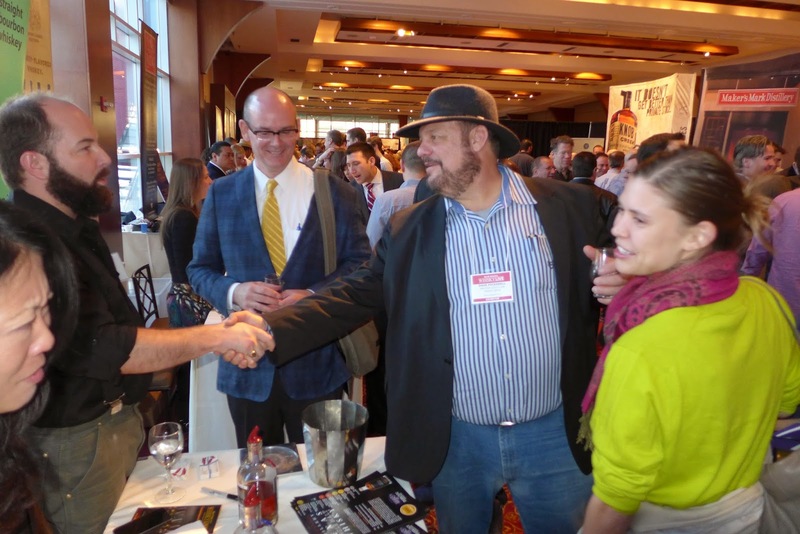 Bernie Lubbers was delightful pouring Heaven Hill. 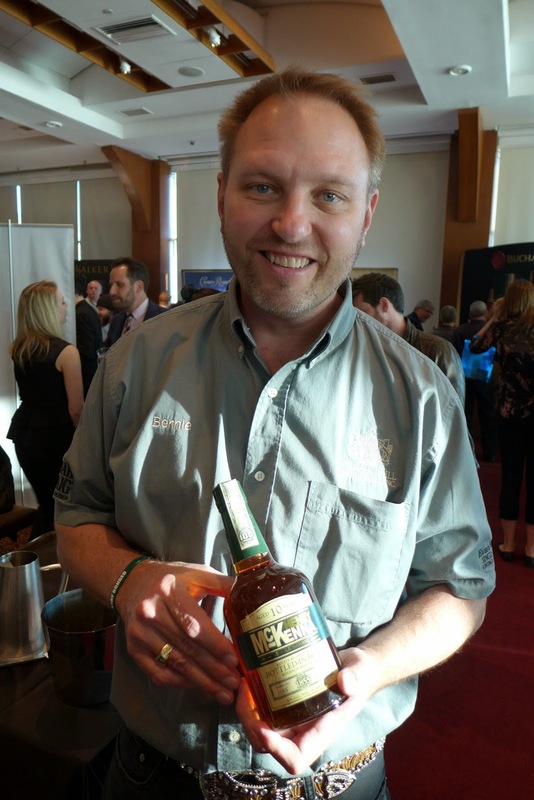 I had a nice draw of Henry McKenna 10 yo Bottled in Bond. 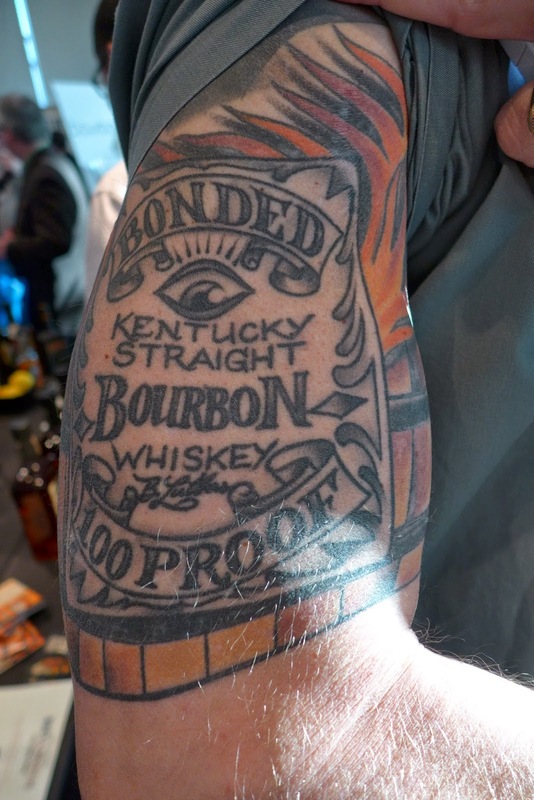 When you talk about bottled in bond whiskies with Bernie Lubbers he might show you his tattoo - which is utterly fabulous and makes his feelings about BIB bourbon abundantly clear. I also had a nip of the new batch of Elijah Craig Barrel Proof. This one is bottled at 66.6% abv. That's a good Satanic accident - and the flavors on this batch are richly redolent of cherry, leather and tobacco after a moment of air. Really lovely. Lubber's BIB tat is definitive. 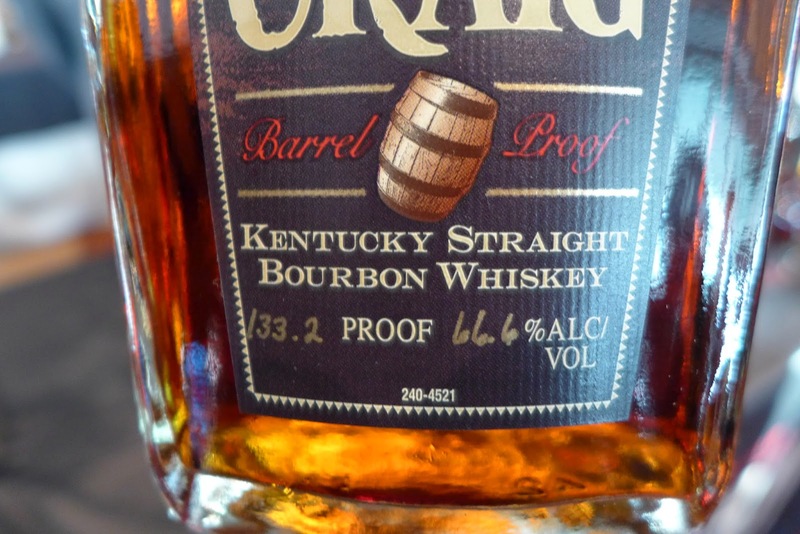 New batch spotted: Elijah Craig Barrel Proof at 66.6% abv. leather tobacco bomb. Maybe the best yet. 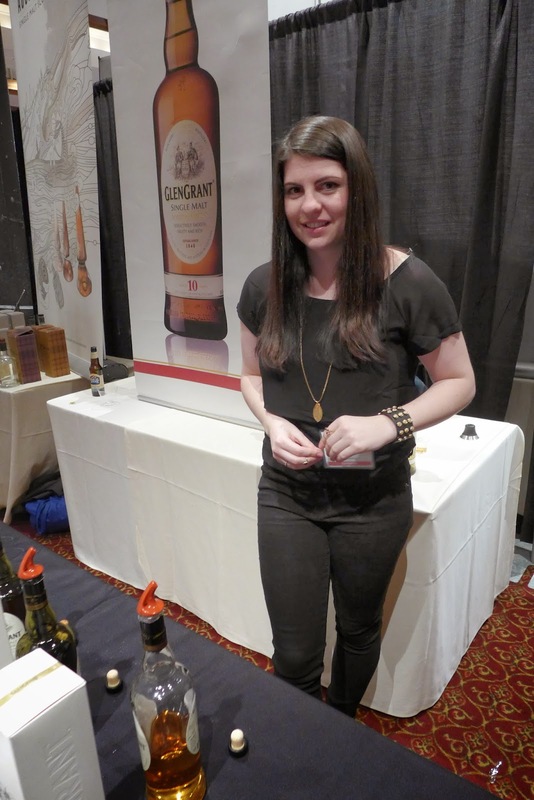 Brandy Rounds, of Drydock liquors in Red Hook, Brooklyn, organized a block of tables for smaller entities (like Van Brunt Stillhouse, and Cacao Prieto). She is a raging torrent of good cheer and fun. Oddly drinkable for a baby craft whiskey. 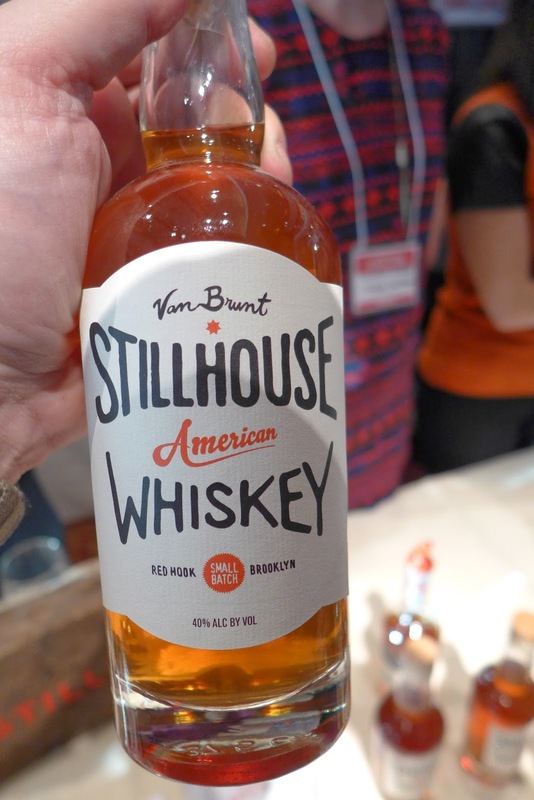 I had seen bottles of Van Brunt Stillhouse American Whiskey, Bourbon, and Malt Whiskey around Brooklyn and New York but hadn't had the opportunity to try them until tonight at WhiskyLive. 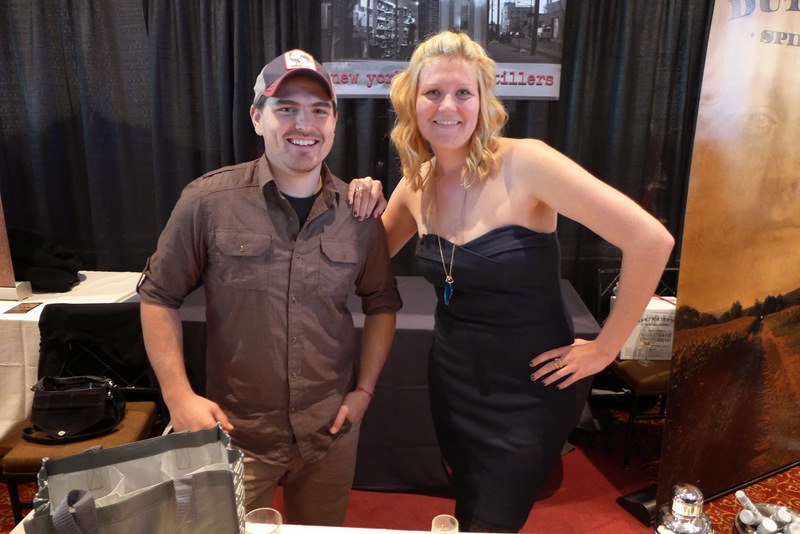 They are young whiskies aged in small barrels from a new urban distillery. I wasn't expecting much - but I was pleasantly surprised - by the American Whiskey variety in particular. 40% malt, 40% wheat, 10% corn and 10% rye on the mash is totally unique. 6 months in a 10 gallon barrel. The nose is young and solventy, but the palate is big and soft with lots of apricot-peach stone fruit. Very easy to drink. I'll be looking more closely at this. Like most recent shows I've been to, Chip Tate's Balcones dominated the American craft whisky scene with top pours of the night. This included astounding tastes of French Oak finished Texas Single Malt and the Redemption Cask finished Texas Single Malt. Rich, complex, and stunning. 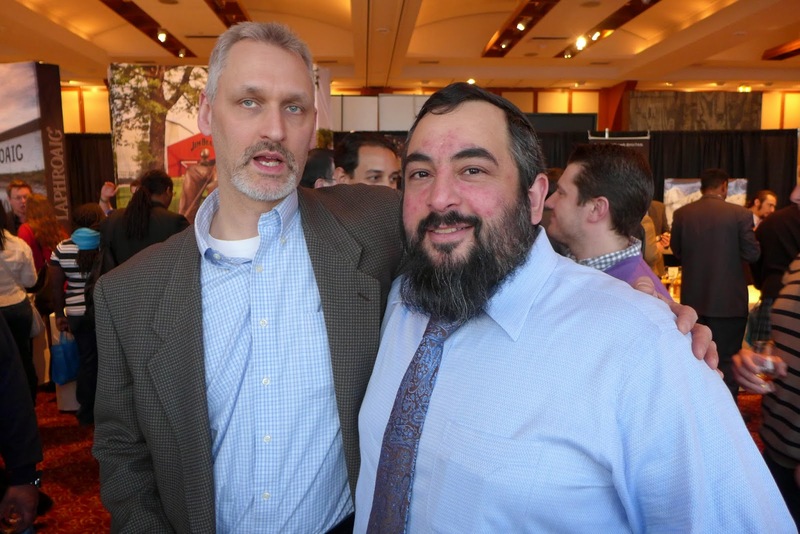 A great moment was when Dave Pickerell came by and the two big bearded bears embraced like brothers. 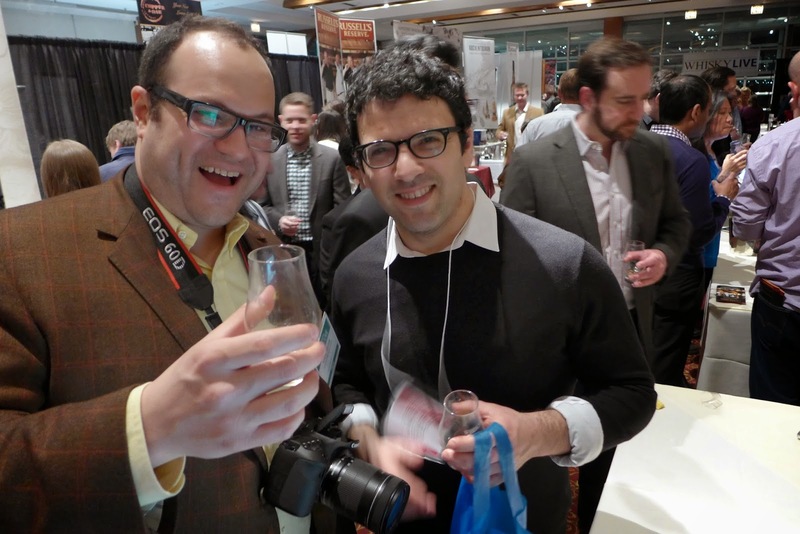 Ari Susskind came down with Scott Goldenberg and the rest of the New Rochelle and upriver NY crowd I had enjoyed time with at the Single Cask Nation event last month. Ari is a font of enthusiasm and information. He steered me to a bunch of great pours I would have overlooked - including, in particular, the Sons of Liberty stuff at the end. 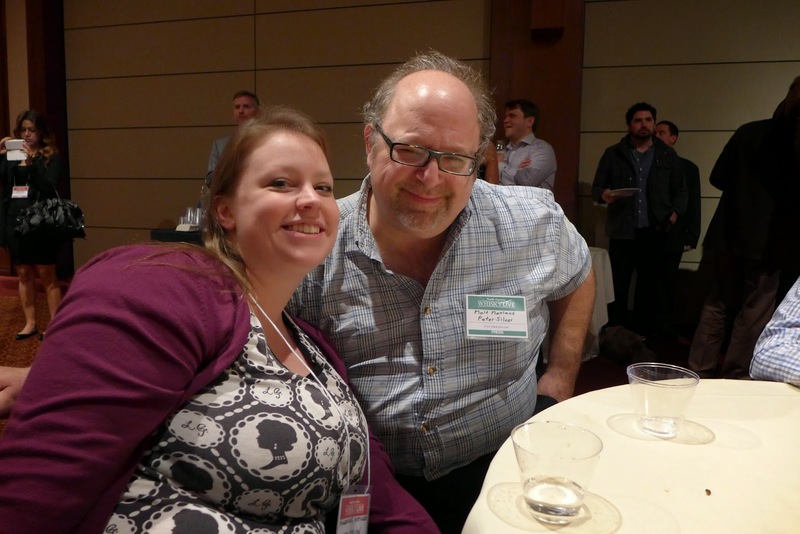 I was fortunate enough to run into my good friend Peter Silver and got to have dinner with him. We didn't get to have a dram, but I get the feeling that will be happening soon enough. Peter is the kindest man in whisky... and the best dentist. 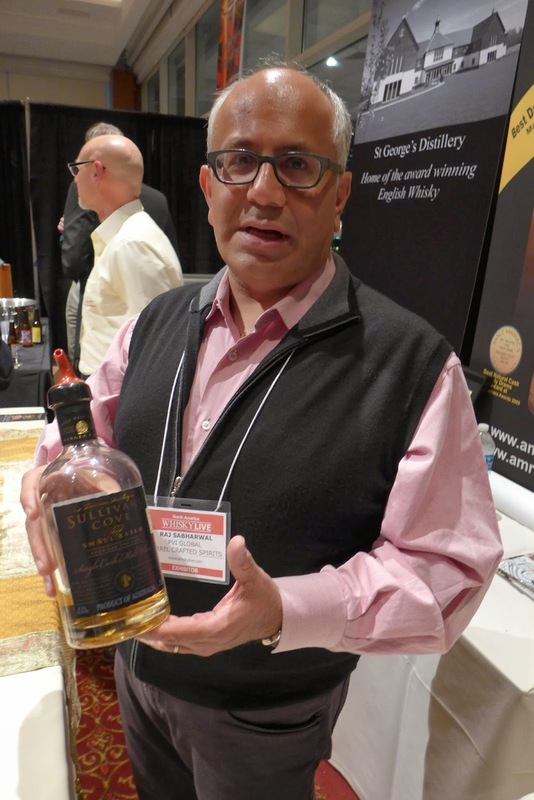 Raj Sabharwal of Purple Valley Imports was pouring Sullivan's Cove, Amrut, and the English Whisky Company. I enjoyed the new American Oak expression of Sullivan's Cove: sweet, honeyed, lacy, and complex. This is a rapidly rising Tasmanian whisky that has been hoovering up awards and attention lately. The curiosity about their offerings was high and Raj's table was busy. 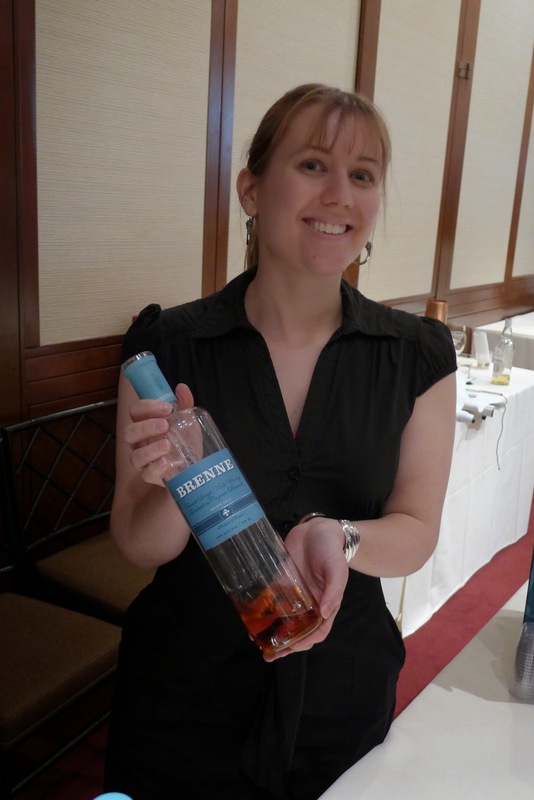 I ran into Rose Robinson pouring Glen Grant. She is beautiful and enthusiastic and the whisky was delicious as always. I can even forgive her for being Robin Robinson's little girl. The adorable quiet pride on his face: priceless. The undisputed highlight of the show (again) was Joe Hyman's Bonham's table. Joe was pouring dusties, as usual, and he had a bunch of beauties from 70's Cutty Sark, an 80's G&M Connoisseur's Choice Linkwood (honeyed, rich and beautiful at 15 yo), a stunning 6 year old Jim Beam 1956-1962 BIB in a beautiful and kitchy Cleopatra Amphora decanter. That old Jim Beam was butterscotchy-rich with lacy rye intensity. Delicious. 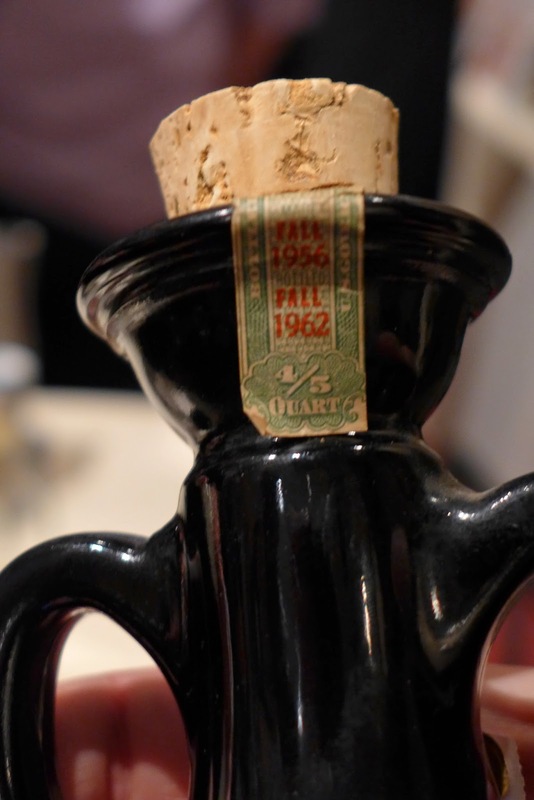 appreciate the fantastic dusties at Joe Hyman's table. 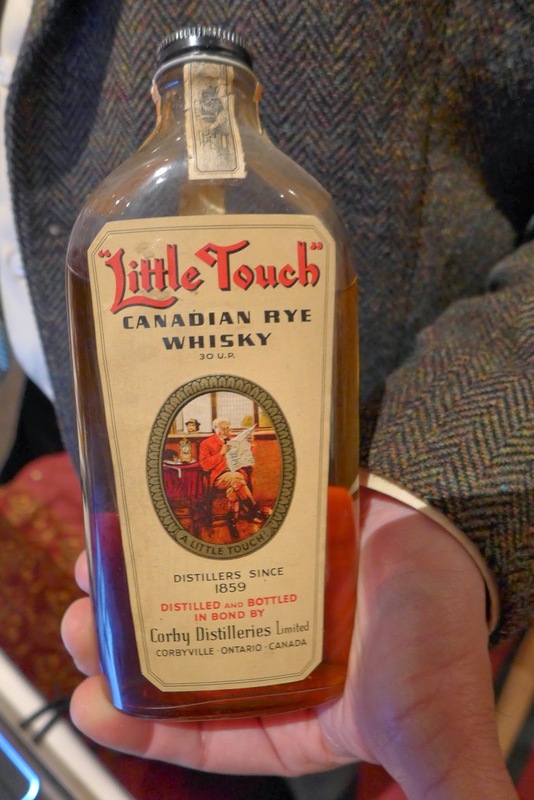 Hyman's Corby's Little Touch 1943: candy rye. Ari Susskind, made sure I didn't miss the Sons of Liberty table in the back corner. Like a number of people I had walked right by thinking the logo looked like Monster Energy drinks. That was a mistake. 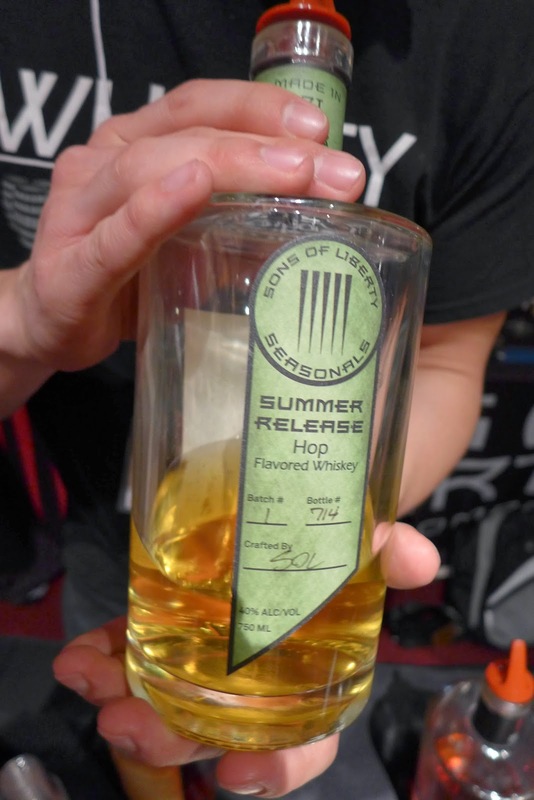 They have a fresh angle on hopped whiskey - making sweet, interesting and very richly flavored drams out of the likes of belgian ale and, uniquely, seasonal whiskies from seasonal brews including the Summer Hop Flavored Whiskey which seemed to have citrus, and the Winter Seasonal Release Pumpkin Flavored Whiskey. 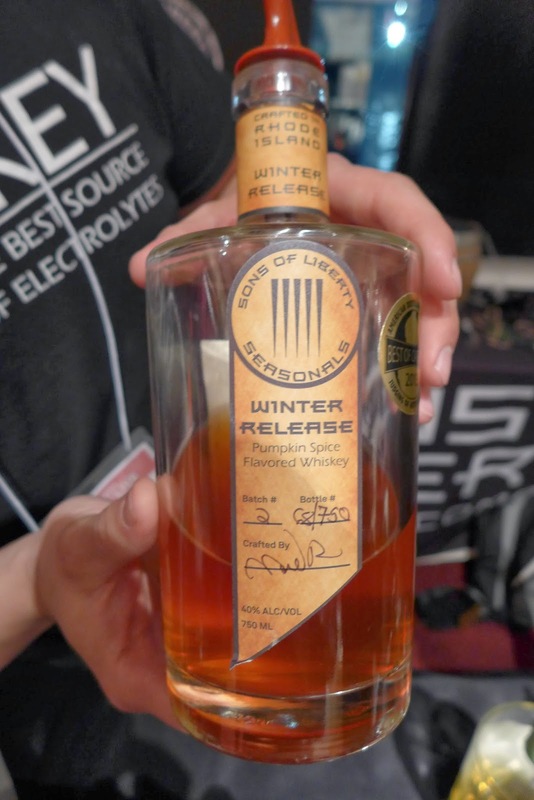 Flavored whiskies are a whole topic, and this stuff is iconoclastic in a variety of ways, but I thoroughly enjoyed them - which surprised the heck out of me. More about this surprise in the near future. Steve Zeller had the fun idea of grabbing Chip Tate and introducing him to Joe Hyman, who he didn't know. They hit it off and it was a sight watching Chip enjoying Joe's dusties and them getting to know each other. One a master of the old; the other a master of the new. 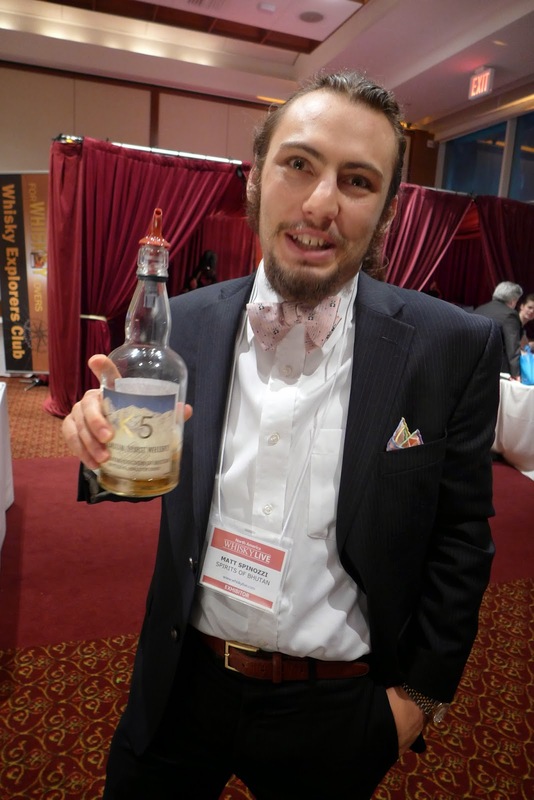 I ran into Matthew Spinozzi, a fun guy I had shared a dram with the previous year when I was working the Gordon & MacPhail table. Now he returned the favor as he was working as a rep for K5 whisky from SpiritsofBhutan. It was much better tasting than I was expecting for a vatting of Scottish malt and Bhutanese grain spirits. 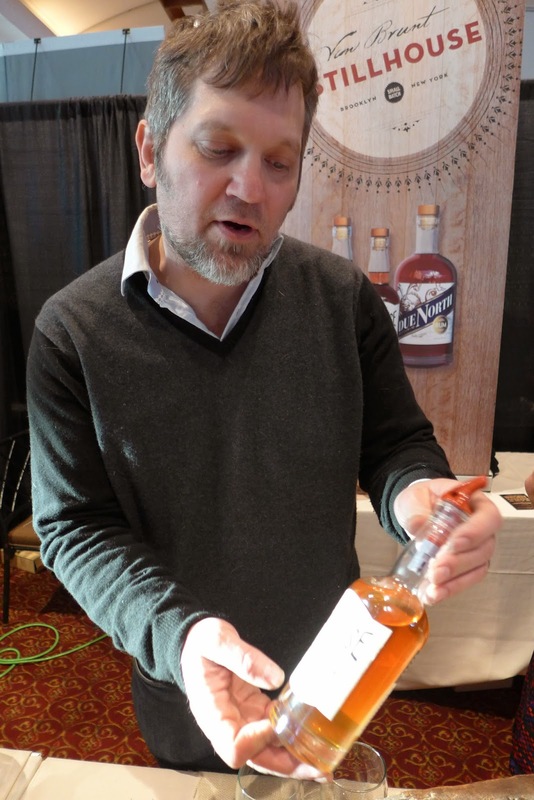 I finished my Whisky Live experience at the Brenne Whisky table where Allison Patel and Susanna Skiver Barton (blogger of http://whattastesgood.net/)were pouring the stunning barrel 268. Even after all those drams, the Brenne was still fruity and effusively tasty with tons of bubblegum and banana esters with apricot and white chocolate. 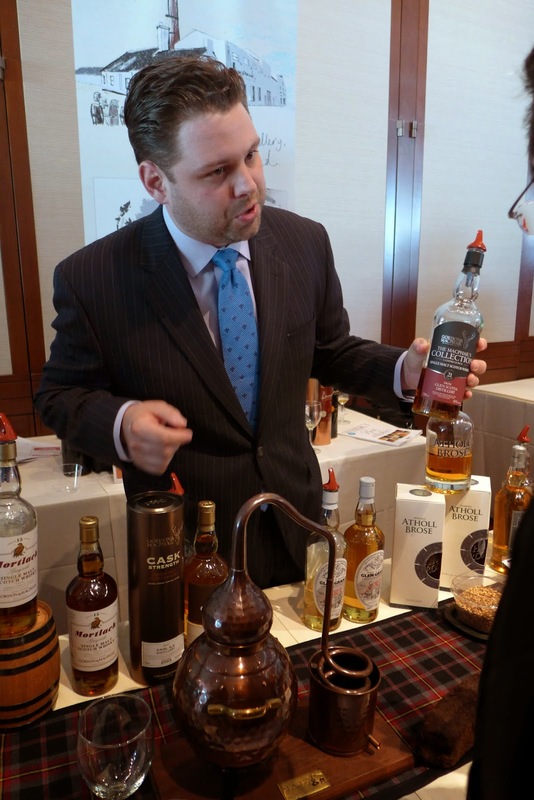 The really jaded folk groused that there were fewer truly extraordinary whiskies on offer this year. Whisky in general is a bit younger and the special stuff has become more and more expensive and harder to find being freely poured. 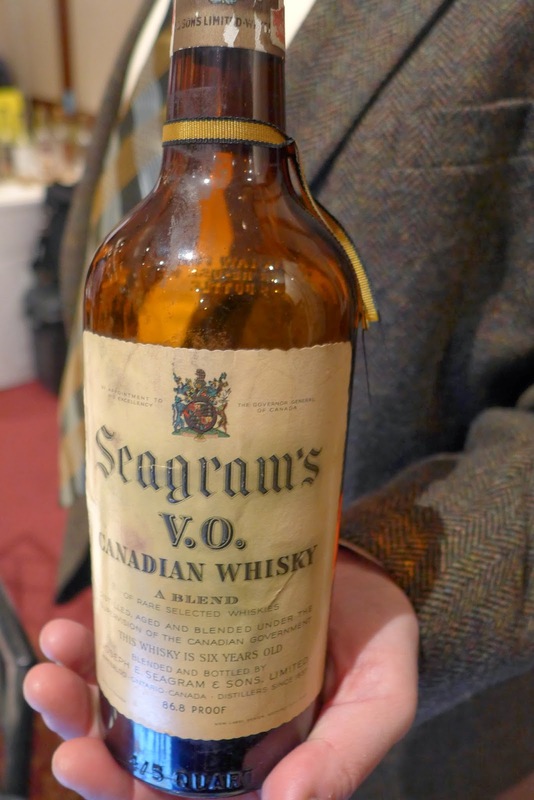 But I found that balanced by effusive creativity in young whisky from the craft segment, and, almost single handedly by Joe Hyman - a walking whisky history lesson. Good venue, good people, lots of action. A really lovely night out. Disclosure: I attended comped as press (a first for me at any show). Extremely curious about the provenance of that 1863 whisky. Did Joe give you any information? Also, Hannisville Distillery was located in Martinsville West Virginia, but wasn't opened until 1867 according to Sullivan. 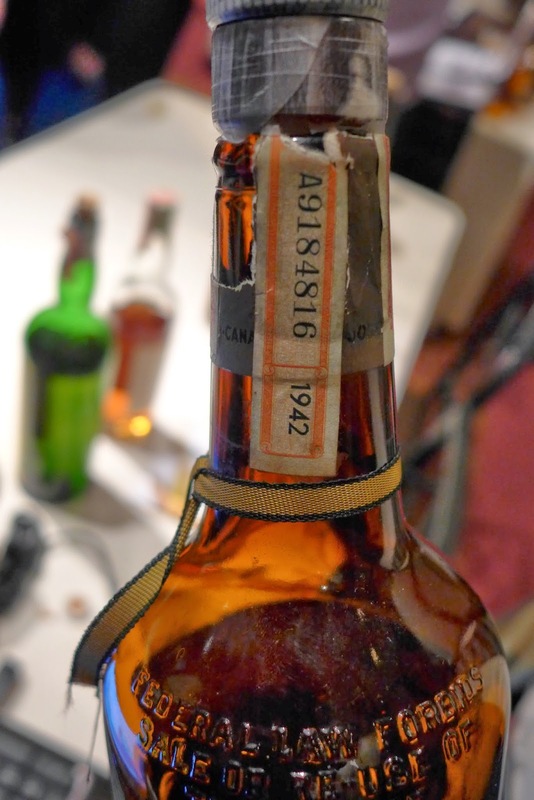 Whiskey from 1863 would have been produced in the "Hannis Distillery" in Baltimore, MD. It's possible the fine distinction in names wasn't preserved along with the whiskey. 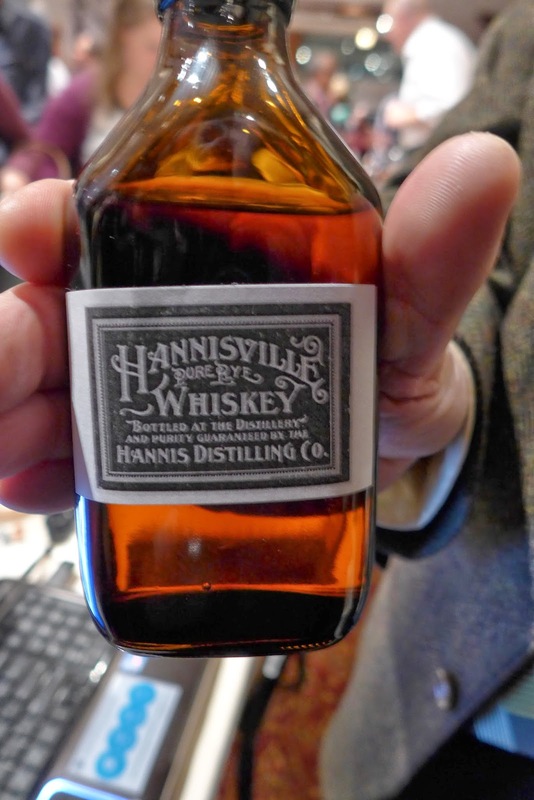 But if it is truly from 1863 it is from the Hannis Distillery in Maryland, not the "Hannisville" distillery. If it is indeed from the latter, then it must date from 1867 or afterwards and then isn't from Maryland, but from West Virginia. These carboys were from barrels purchased by John Welsh of Philadelphia, Minister to England in the 1870s. He owned vacation property in Wakefield, RI where he entertained the Hoi Polloi. 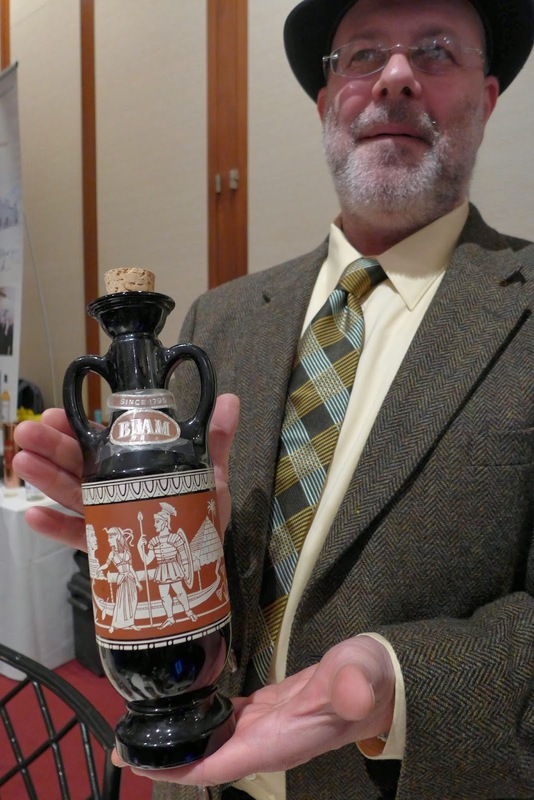 The whiskey was bottled in carboys and shipped to Providence for storage. The last of these carboys is available in the April 30 whisky auction at Bonhams. Thanks for the correction, Joe. I was confusing the glass carboy of Hannisville with the wicker wrapped demijohns of Chapin & Gore with the Zebulon Pike family angle. Amazing compelling stuff for Bonhams again. I'm very much looking forward to the auction! Sigh.... thank you for this.... I really couldn't be there this year but after the read through and seeing all the lovely photos I feel better. Good post and lovely whisky shots!!! Another fantastic write up Josh! I'm kicking myself for being one of those folks that missed the Sons of Liberty table. Looking forward to hanging out soon. Cheers! If it wasn't for Ari Susskind directing me back there I would have totally missed the Sons of Liberty. I'm glad he did. Definitely looking forward to hanging out soon! That Elijah Craig Barrel Proof sounds utterly delectible. I am obviously nowhere remotely near your experience, but Elijah Craig is in my all-time top 3 bourbons so far. Elijah Craig was absolutely one of my favorite Bourbons of all time in its Heaven Hill distillery days. I'm still coming to grips with its new Bernheim distillery incarnation - but with bottlings like that I'm definitely being won over.